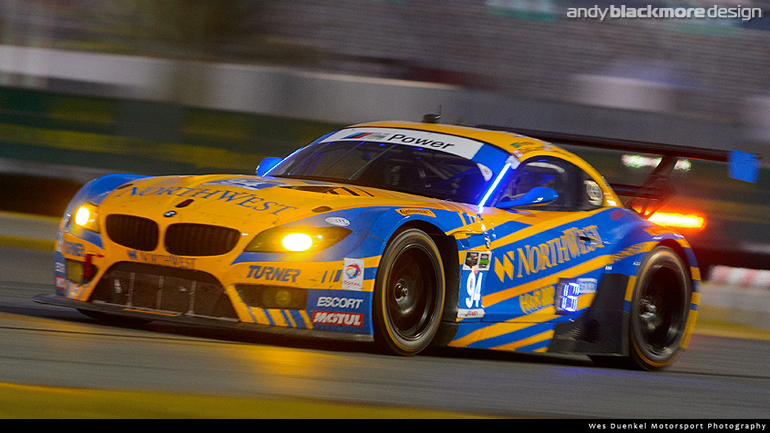 Turner Motorsport are a successful championship winning BMW team in North America. 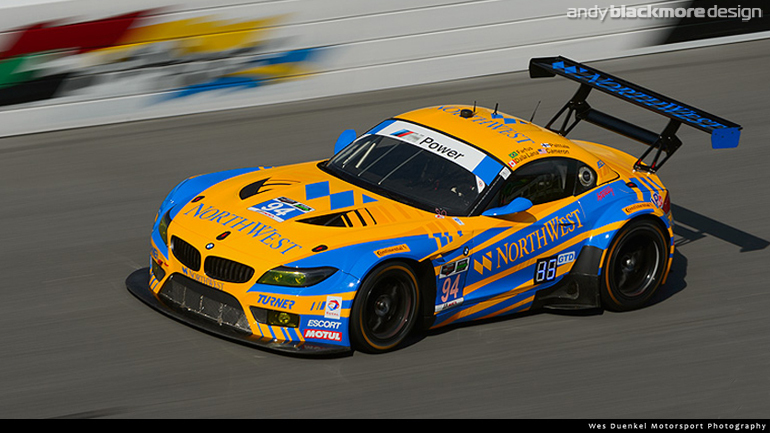 Including satellite team for the Dubai 24Hrs in 2011 with Schubert Motorsport,Turner is also very active with Sports Car Club of America (SCCA) and BMW CCA Club Racing. 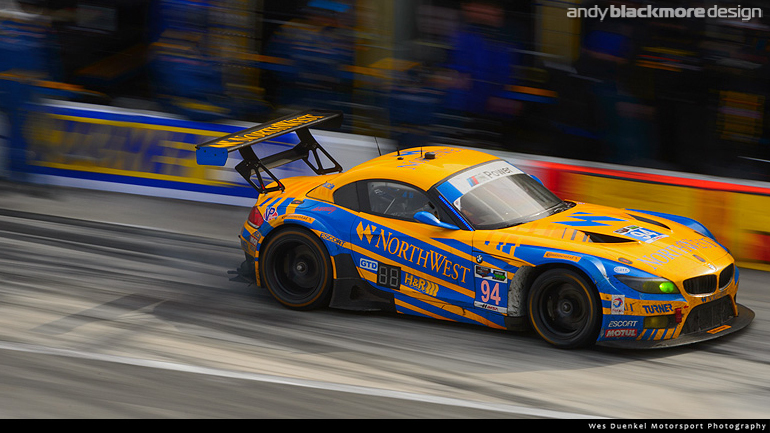 After a number of years in the Continental Tires SportsCar Challenge, Will Turner and his team expanded his team in 2014 to compete in the GTD class of the new IMSA Tudor United SportsCar Championship. 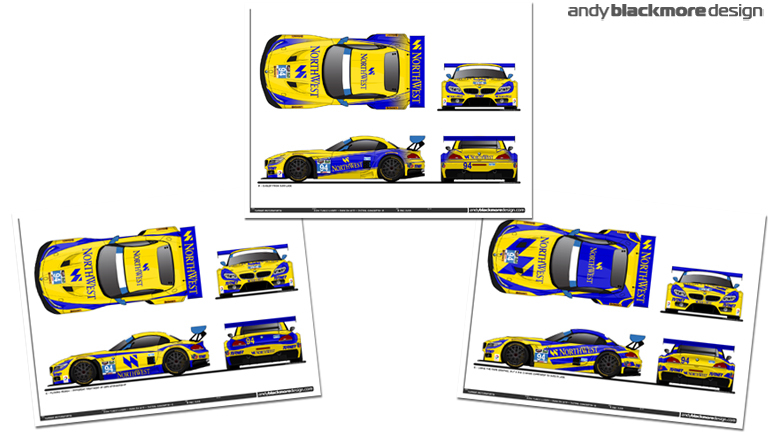 I was commissioned to design a livery for their new BMW Z4 GT3, modified to GTD Spec and their race transporters. 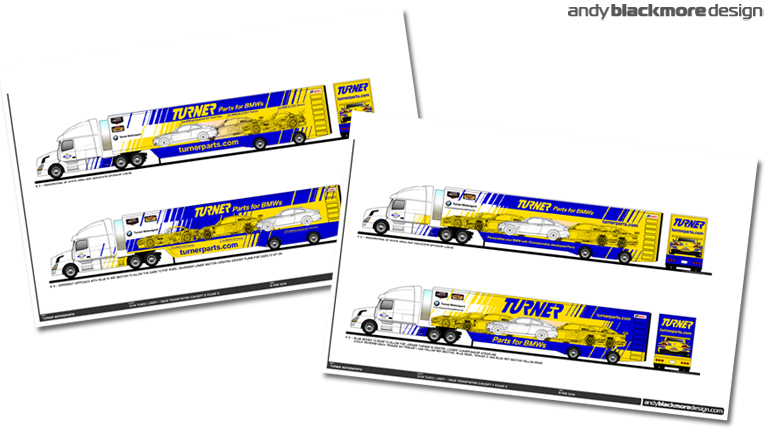 Will and his team wanted a new look to their well established livery but to retain the Yellow base with Blue accents. 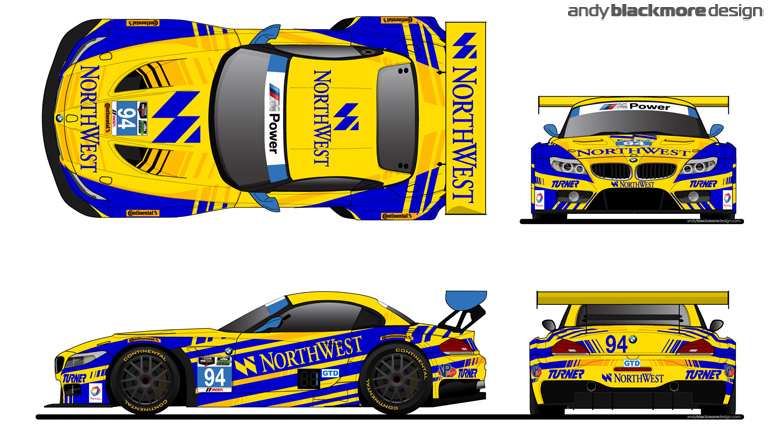 I have experience with designing liveries on the Z4 with Team Need for Speed, Schubert and a couple of other sponsorship proposals and know this is a tricky car to design on. The side proportions with the rear wheel fender flare touching the door causes space issues which were made worse by the large number panel and the introducing of the new ‘ position number’ panel which all TUDOR cars would need to use. 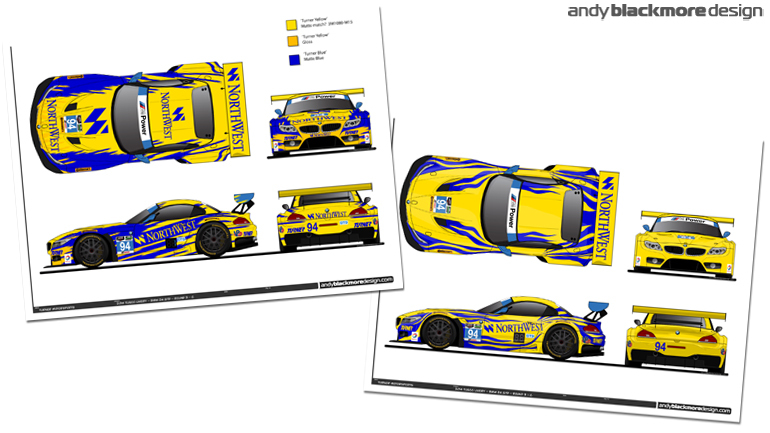 As the team wanted a whole new look, it was time to create a large number of livery proposals for initial review. I know I produce more of these than many other designers, but I feel this is important. The team and sponsor are the client. I need to get into their head and understand what they want and desire. It is then my job to turn these wishes into something that becomes a successful resolved design. As you can see from the images above, it was an eclectic mix of designs with the slanted slashes of their logo and the yellow/blue color-scheme as constants. 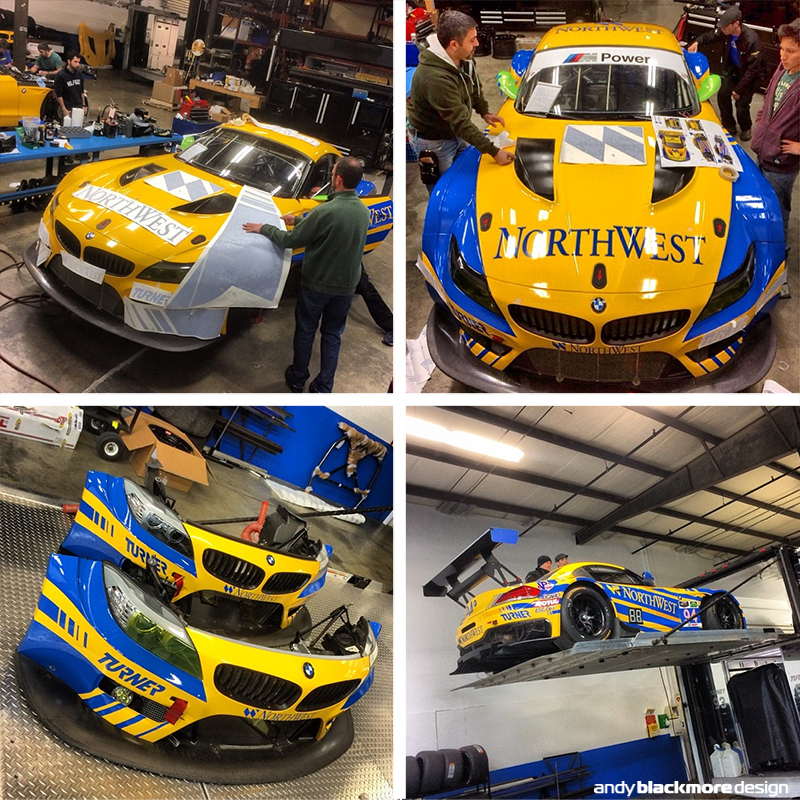 You can see the makings of the final livery in the bottom right concept. 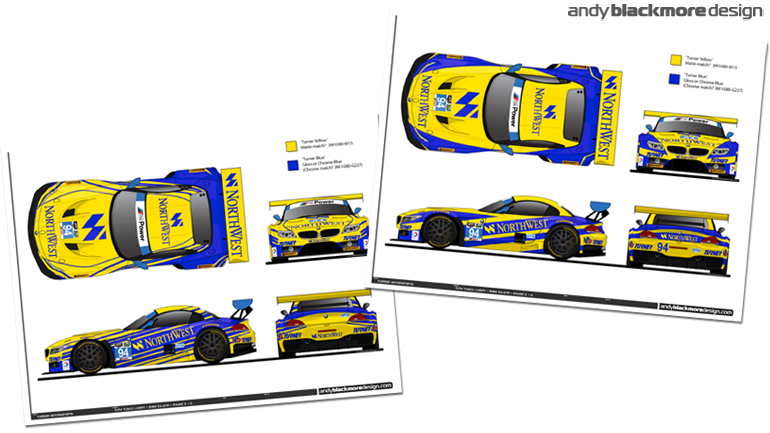 Everyone liked the idea of using the slanted slashes as a repeated graphic device, so we centred on that and added more detail and variants as we explored the design, remembering how this would work on the fenders of the Z4. I still found time to explore a few different avenues to ensure everything had been considered. I also wanted to integrate the design into the hood with the air outlets which migrated onto the final design. As you can see these are close to the final design. Here we are playing the the density and balance of the color. 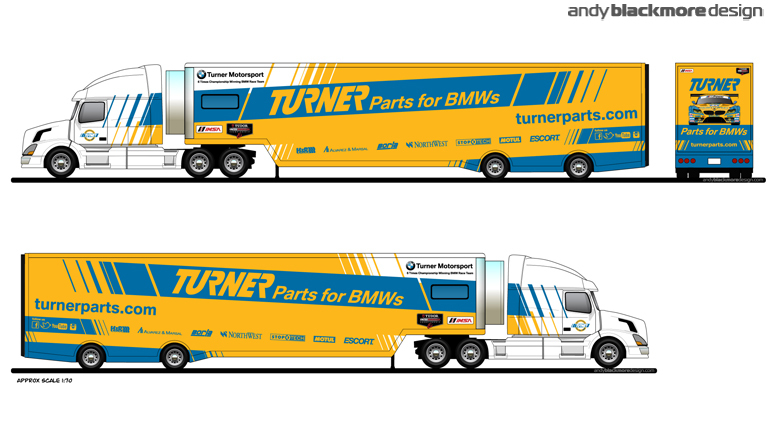 In the end we went for the right hand side design as that was more sponsor friendly. 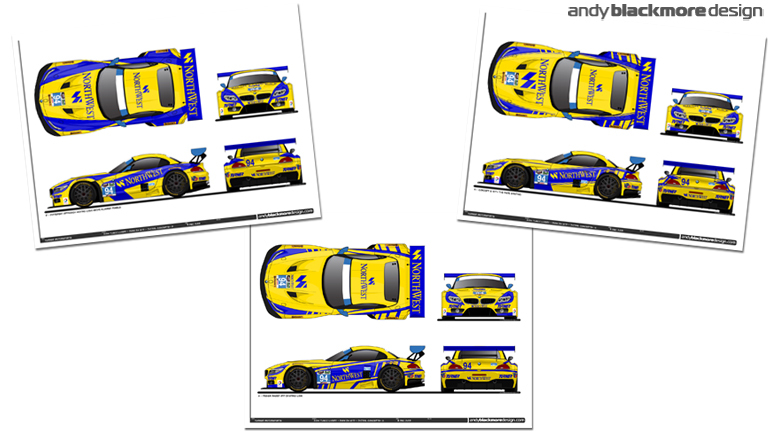 This is the final art (with shadows, highlights removed) for the sign-writers to use for application.. As the Z4 would race in a couple of night races, we added a second yellow accent to the final design, along with the hood air outlet graphics. As with all my designs, the art is set up so they can use the file without modification. 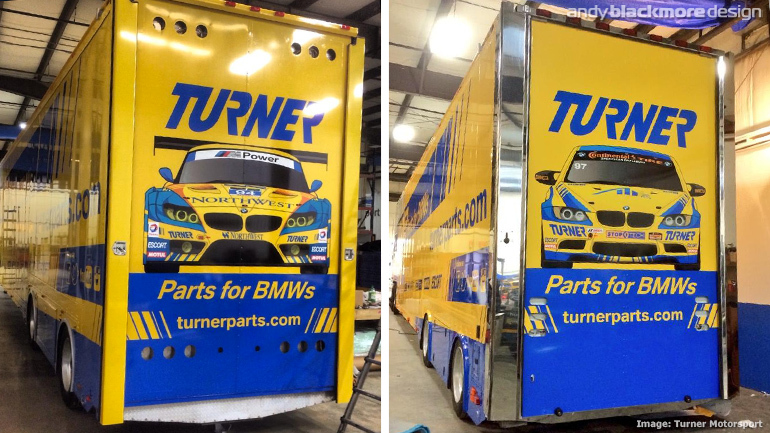 Turner Motorsport were pleased with the design and the process. 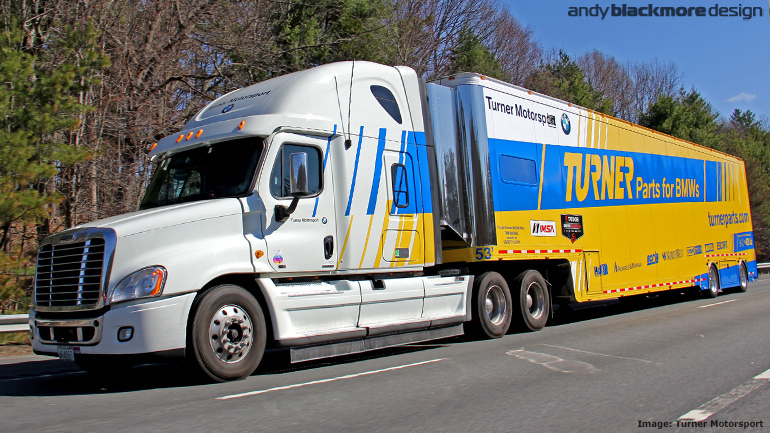 With the cars in build, it was time to look at the race haulers. 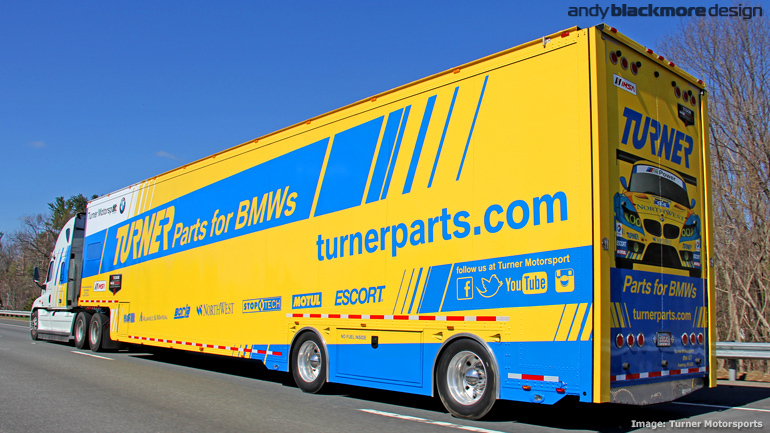 The team wanted to promote the Service and parts side of Turner Motorsports rather than the race team as this would be seen on the roads and highways of North America. We explored two concepts. 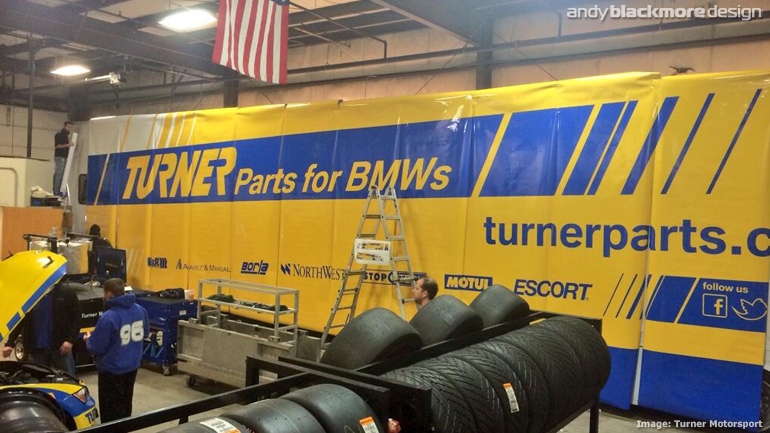 The first approach was to focus on the sponsors and parts suppliers and give them expanded coverage. The second, an image or illustration which showed the connection between road and race car. I wanted to integrate the rig into the design, so we added a little color to this. 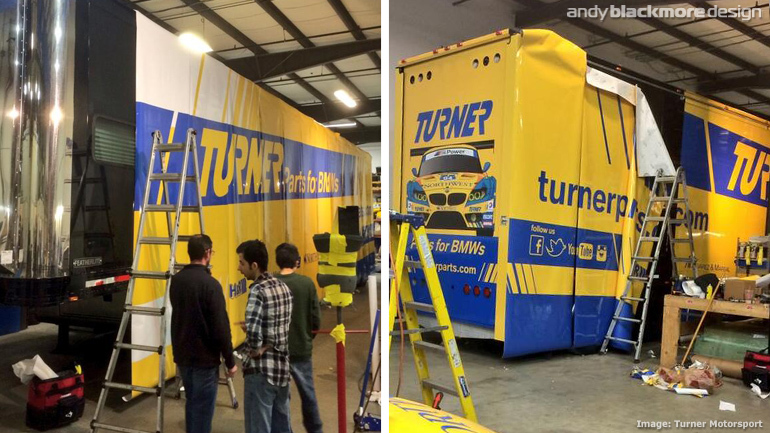 The team didn’t want the expense of wrapping two cabs, so we faded the graphic out on the side quickly. 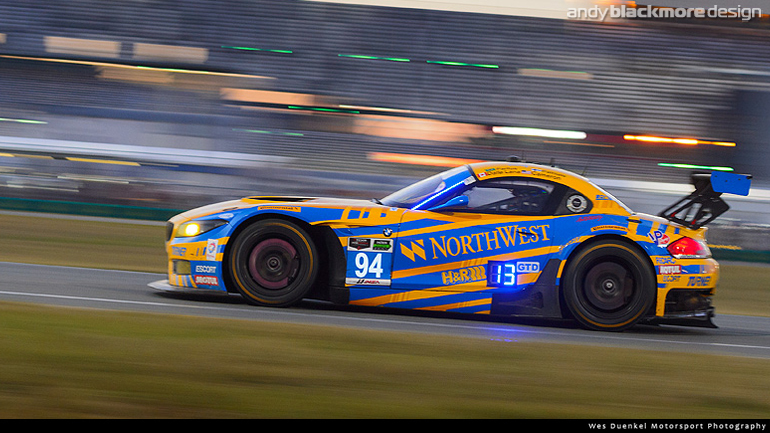 This was the final design being wrapped by Coastal Speed Pro. My vector art file, created to scale, is used and sliced into 4 metre long strips. Its cool to see this coming to life in these Instagram images. 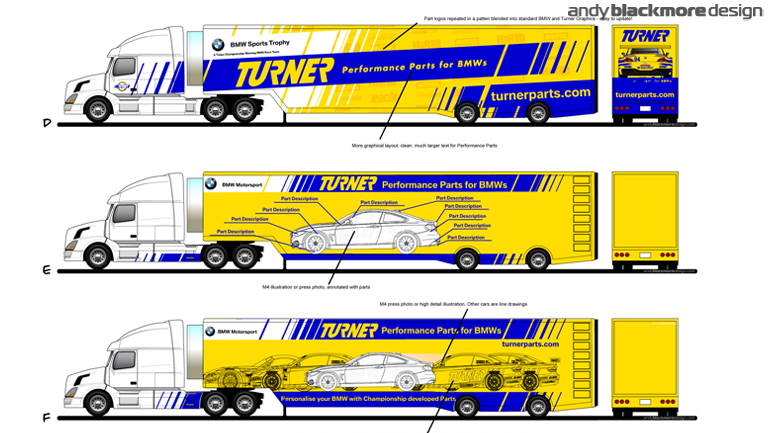 The TUDOR race hauler has the Z4 illustration from my original livery drawing on the rear, while the second truck which services the Continental Tire cars has the BMW M3 E92. I’m really please how this came out and it was great working with Will Turner, Jay Baier and Paul Dalla Lana on this project. 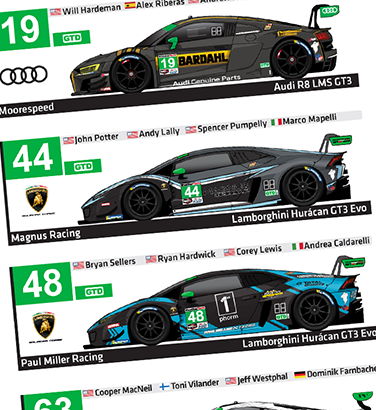 Its great to see the team achieve success with two (as I write this) class wins on their debut season.